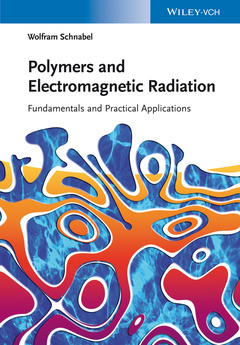 The first part of the book deals with the interaction of polymers with non-ionizing radiation in the frequency-range from sub-terahertz over infrared radiation to visible and ultraviolet light, while the second part covers the interaction with ionizing radiation from the extreme ultraviolet to X-ray photons. Consequently, the book provides a systematic overview of how both the non-ionizing and the ionizing radiation can be used for different polymerization approaches, spectroscopy methods and lithography techniques. The covered applications include curing of coatings and adhesives, xerography, light-emitting diodes, lasers, wave guides, high-capacity data storage as well as sensors and catalysts.